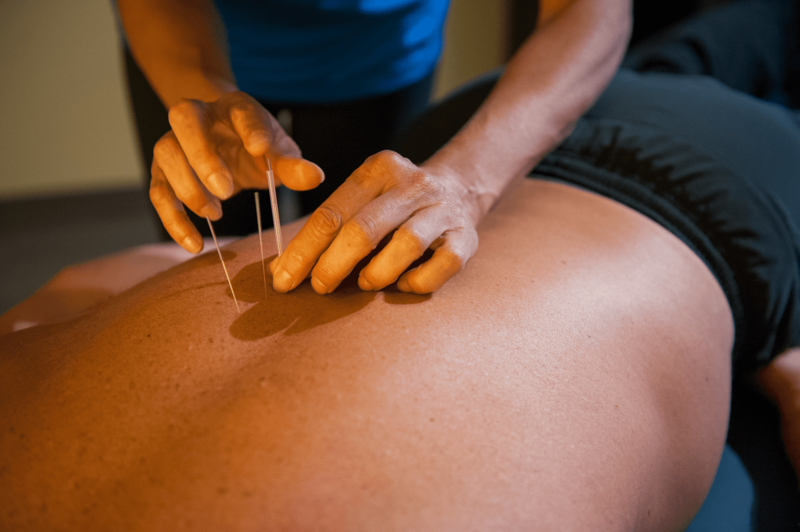 When chronic muscle tightness and pain interfere with your work or usual routine, you may want to consider the many health benefits of dry-needling techniques. Denver Sports Recovery in Denver, Colorado, offers effective, nonsurgical dry needling to improve blood flow and overall muscle functionality. You can find relief of chronic muscle pain after just the first treatment and enjoy long-lasting effects. Schedule a consultation today online or by phone to learn more about dry-needling solutions. Dry needling is a minimally invasive treatment technique that uses a thin needle to stimulate painful areas of the body known as trigger points. These trigger points develop when a muscle becomes irritated or inflamed. The goal of dry needling is to release knots in an irritated muscle, helping you to achieve total muscle relaxation. The term dry is used because the therapeutic needles used in therapy don’t contain any fluids. Similar to acupuncture, your specialist inserts slender needles into specific areas of your body. However, these areas are specific to trigger points to effectively loosen tight muscles. Your specialist can place needles in the surface tissue or deep within your muscles, depending on your needs. Needles remain in place for several minutes to release the muscle. In some cases, the physicians use specialized movements to move the needles in and out, further releasing hardened muscles. Dry needling is highly effective in releasing muscle tension, pain, and stiffness that contribute to your mobility issues. By targeting the root cause of your muscle pain, you can achieve long-term relief. Treatment with dry needling can promote relaxation throughout your body and reduce your risk for future injuries. This kind of therapy can also improve blood circulation in the targeted muscles to support overall muscle health. As long as you’re in good overall health and can tolerate needles, dry needling may be an ideal technique to resolve pain and mobility issues. How does dry needling feel? While the trigger points on your body may be very tender or painful to the touch, you generally experience no pain from the insertion of the needles. It’s common to feel muscle soreness or aching sensations during treatment. You may also feel your muscles twitch, which can indicate treatment is working effectively. Find out if dry needling is right for you by scheduling a consultation online or by calling the Denver Sports Recovery center today.